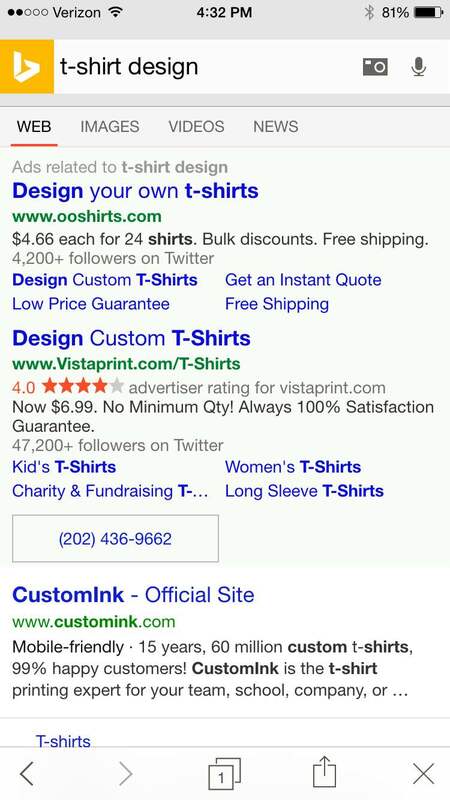 Just like Google AdWords, Bing Ads allows you to have call extensions for mobile searches. In this post though, I want to show how you can still track manual phone calls that did not directly click on that call extension button. Here is an example keyword search that I performed on my iPhone today. The top two listings are ads, but the second listing has a clickable phone number that starts with the number “202”. Since I am already on my phone, I can just easily click on that phone number and hopefully talk to someone on the other end immediately. What Happens If They Call, but They Don’t Click on That Clickable Phone Number? Having a clickable phone number for mobile search is great for users, but what happens if they did not click on that button, but they still called? You might think that you won’t be able to see that data in your report, but you can actually still gather that information quite easily. Bing Ads can still track this activity as a manual call when a user calls that phone number in the ad. You will need to head over to the call forwarding detail report to see this activity. A manual call will work if someone took a screenshot of the search results on their phone and then called that phone number at a later time. Another example could be someone searching on their phone, saw the ad, and then directly called that phone number via Skype or Google voice. You will need to have a Bing Ads forwarding number set up to track these manual phone calls, but we will get to that a bit later on in this post. What is the Call Forwarding Detail Report in Bing Ads? This is a unique report in Bing Ads that will show any call activity that happened with your ads. From the reports section, you just need to look on the left hand side until you see call forwarding detail listing. When I pulled this report for the last 30 days, I saw that I had a few calls that were labeled “manual calls”. Manual calls are just how they sound. They are phone calls that the user manually typed in to get in contact with the ad listing. So the next question is how does this even work? If you are creating call extensions, you should set up the extension to have a Bing Ads forwarding number. A Bing Ads forwarding number is a unique phone number (either toll free or local) that Bing will display in the SERPS for your ad. When a user clicks or directly calls that phone number, they are then rerouted to the phone number for your business. The Bing Ads forwarding phone number is a unique phone number, so Bing Ads is able to track this number when this phone number is called. If the user clicked on the actual call extension, you would see much more data, but you will still get a good amount of data even with a manual call. If you are running any call extensions on any of your ads, you should be using a forwarding number. 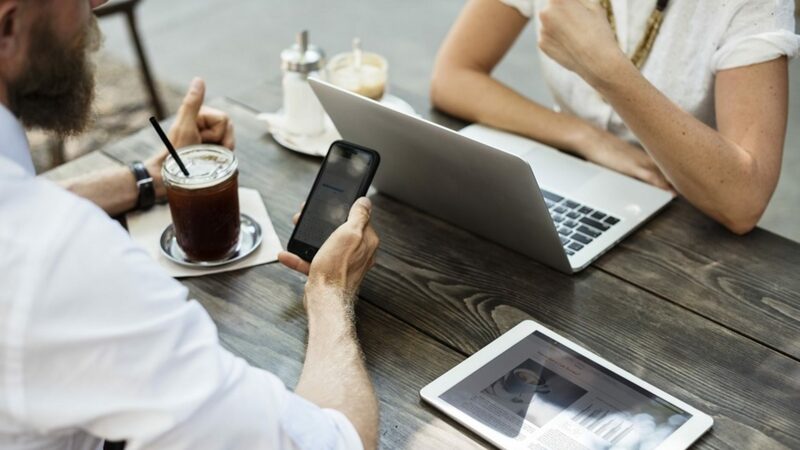 The forwarding number will help protect your phone number just in case you did not want to advertise it to strangers, and second, you can then track any manual calls that come through from an ad viewing.